“In rivers, the water that you touch is the last of what has passed and the first of that which comes; so with present time”. The three larger works use images taken in Hobart, Tauranga Bay and Tonga. The Façade Series – were made by Mark Graver in Hobart, Tasmania on an International Artist Residency in Aug/Sep 2016. 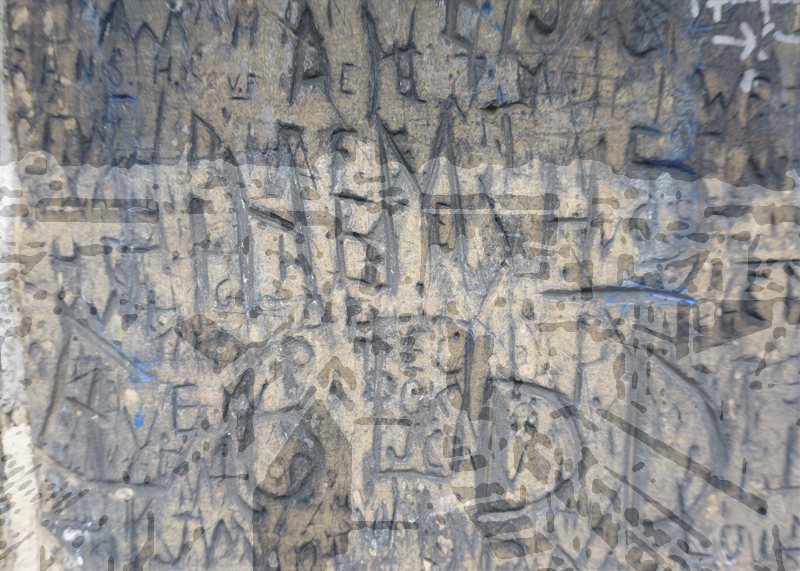 The works began as collagraph plates made from paper and plaster. These were printed and the prints then scanned. The prints and plates were then digitally collaged – print 1 with plate 6, print 2 with plate 5, print 3 with plate 4 and so on. The original collagraphs were abstract responses to the surfaces of the city, the buildings, walls, streets and textures. Façade relates both to the front of a building and a deceptive outward appearance. The Fenstra Series are made using photographs taken of light, shadow and foliage through the printmaking studio windows. 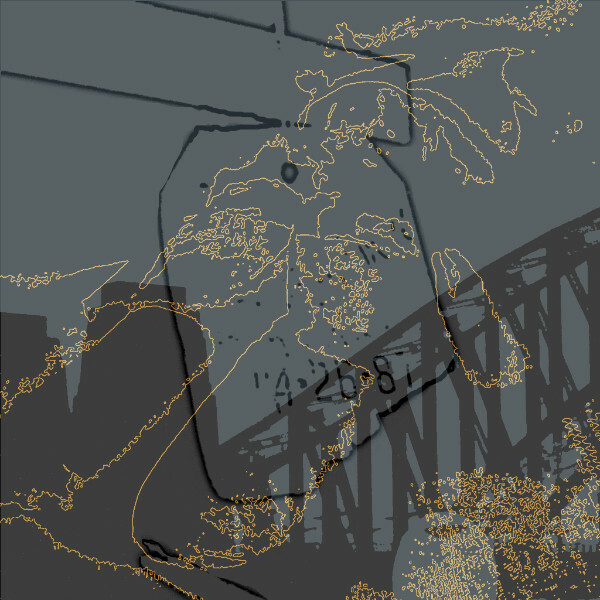 The images are manipulated, collaged and layered in Photoshop and printed as archival inkjets. The final series Tree I – VII uses images of trees, ferns and textures from around Wharepuke and the surrounding area. In 2010 Amy Nack, Wingtip Press, was cleaning out the flat files and wondered what to do with the little scraps of paper that were jamming up the drawers. She figured they weren’t the only printmakers with such delicious problems. So Wingtip invited a few printmaking pals to create prints from their scraps. Since then Wingtip has exhibited Leftovers prints from hundreds of artists from around the world, made new friends and expanded their collection of extraordinary prints. Wingtip Press has been successful in arranging multiple international exhibitions of the Leftover prints and will continue to make sure that happens. For a long time, my work has explored genetic engineering through a blending of science fiction and reality; combining and juxtaposing literary fantasies with scientific possibilities. Searching the internet, images of cloned animals and human medical stem cell research sit alongside photo shopped imaginings of hybridised dysfunctional animals. This melting pot of truth and lies reminds me of medieval printed bestiaries of imagined and real animals presented for examination and fascination. This body of work explores an imagined representation of human organ cultivation and stem cell experiments. All works are screen-printed and painted on panels, 2016. Part two of the 4th International Open Submission Printmaking Exhibition features Margaret Ashman, Tom Baggaley, Richard Hricko, Carolyn McKenzie Craig, Miwako Nishizawa, Sumi Perera, Joseph Ryan, Mustafa Sidki and Ella Weber. A finalists shortlist will be drawn up and our international judging panel will decide the overall winner of this year’s show. Anthony Holmquist (USA) – first prize winner of Art at Wharepuke’s 3rd international open submission printmaking competition. Tony is an assistant professor in the Department of Art & Design at Fort Lewis College Durango, Colorado, USA, he visited Wharepuke as an artist in residence in May 2015 during his prize winning solo show Recurring Systems. Chris Pig (UK) – Award winning artist Chris Pig specialises in relief prints. He is a member of the UK Society of Wood Engravers and was joint winner, with Hilary Paynter, of the Society’s 2009 competition. Elizabeth Dove (USA) – Professor in the School of Art at the University of Montana. Susanna Castleden (Australia) – Senior Lecturer and Director International in the School of Design and Art at Curtin University, Perth, Western Australia. The winning artist will have a solo show at Wharepuke. The 4th Wharepuke Open Printmaking show features 25 artists from 12 different countries selected from open submission. The exhibition is divided into two parts. Art at Wharepuke’s end of year/ New Year exhibition brings together two Kerikeri based artists with international reputations. Richard Parker, a renowned ceramic artist who’s work is held in many national and international public collections will present recent works never before exhibited in Northland. Mark Graver‘s new print series include digital works based on the Kerikeri River and the forms and patterns of Wharepuke Subtropical Garden. Graver’s work is held in public collections such as the V&A Museum, London, The Ashmolean Museum, Oxford and collections in Australia, China, Thailand, Mexico and NZ. 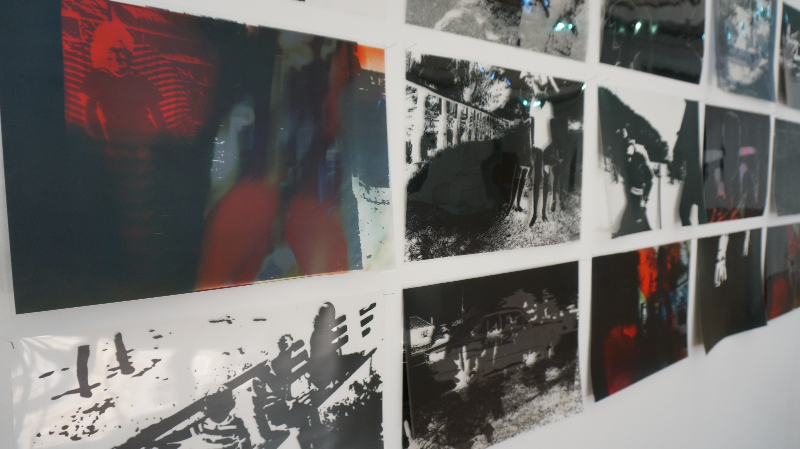 Parallel Prints is an on-going portfolio and exhibition project devised by Mark Graver and Tania Booth from Art at Wharepuke, Kerikeri, New Zealand. The project presents simultaneous exhibitions of the portfolio collection at Art at Wharepuke and in a related partner gallery outside of New Zealand. Using the uniqueness of the reproducible print allows for the same works to be viewed at the same time in different parts of the world. This highlights the democratic nature of printmaking and questions the aura of the unique. Which venue is showing the ‘real’ work? Which the reproduction? 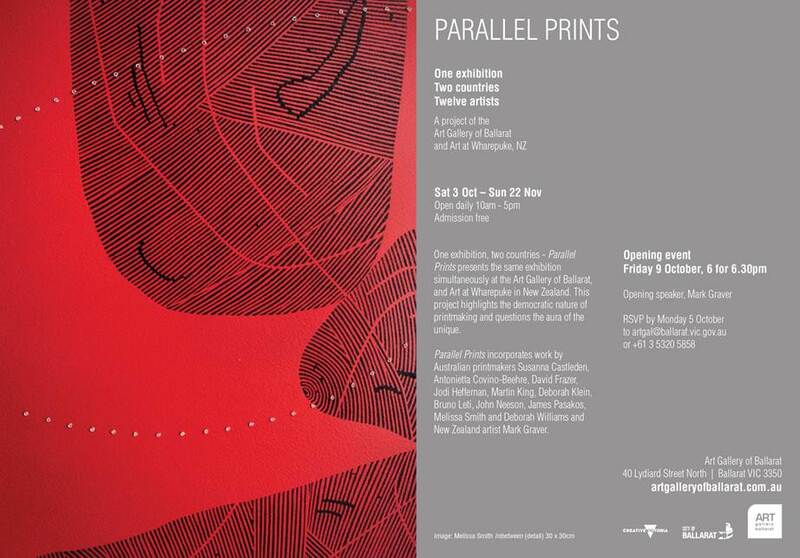 The first Parallel Prints project was staged in NZ and the UK in 2013. The portfolio was presented at the international printmaking conference Impact 8 in Dundee Scotland and subsequently accepted into collection at the Victoria & Albert Museum, London, The Ashmolean Museum, Oxford and The Kent Print Collection in the UK, The Whangarei Art Museum, New Zealand and the Jinling Museum of Art, Nanjing, China. The 2015 portfolio features Mark Graver and 11 invited Australian artists – Susanna Castleden, Antonietta Covino-Beehre, David Frazer, Jodi Heffernan, Martin King, Deborah Klein, Bruno Leti, John Neeson, James Pasakos, Melissa Smith and Deborah Williams. The exhibitions run simultaneously at Art at Wharepuke and the Art Gallery of Ballarat, Victoria, Australia until Nov 22nd. When Dad died my brother and I found a drawer full of old 35mm slides dating from the early 1960’s to the early 1980’s, family snaps, holidays abroad and our time in Australia as Ten Pound Poms. 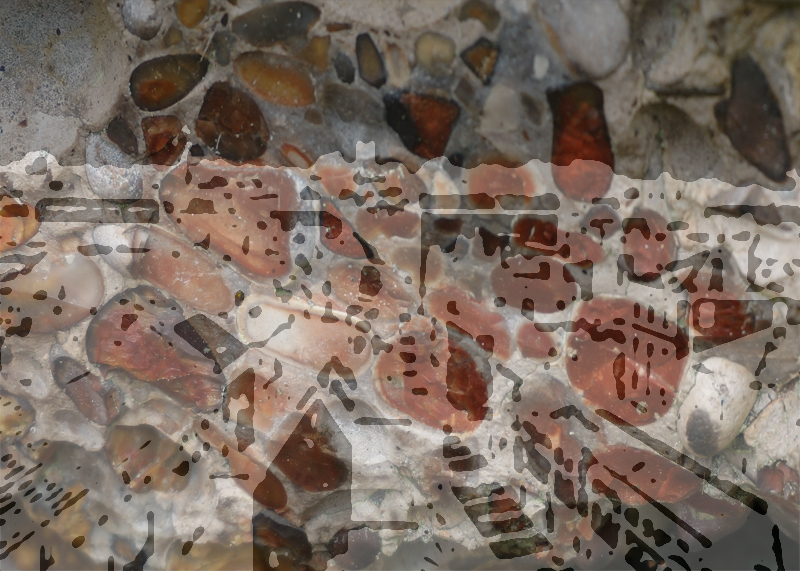 The slides have been digitised, manipulated and re-printed as acetates to be layered, like memories. David Ferry, Mark Graver, William Hedley, Lothar Osterburg and Dan Welden.